As of today, Season 3 of the zombie apocalypse series Z Nation, with the subtitle “Choose Your Side,” can be purchased both as a DVD and as a Blu-Ray. In Season 3, the horror story goes on seamlessly: Murphy (Keith Allan) was bitten by the undead. But with the help of an experimental antidote it could be prevented from completely transforming. This makes him the first hybrid between human and zombie, which also gives him some special abilities. Since Murphy is probably the only survivor of such an incident, he becomes a hope for all humanity, as his blood could be used to make a better vaccine. After a short break, we finally continue with the most successful zombie series in the world besides “The Walking Dead” and “Fear The Walking Dead“! Season 1 and 2 were very successful at Universal Pictures. For all fans is of course Episode 3 with the same elaborate presentation bez. Menu design, artwork, reversible cover and bonus material available. Season 4 is already scheduled for January 2019. 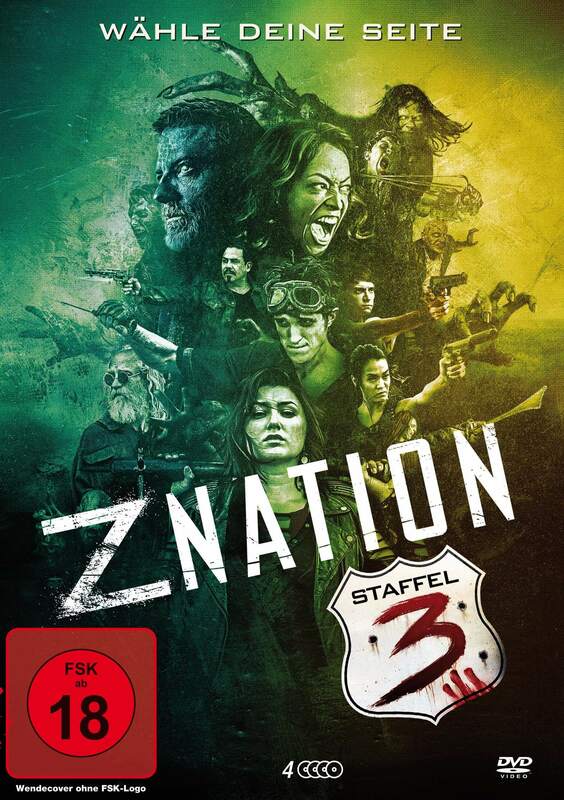 Z Nation is also featured on SyFy, RTL II and Netflix.